With the popularity of Shark Tank on ABC, it seems like more and more people are trying to come up with new inventions that they can market to people. While some of them come up with amazing ideas and their products are something people need, there are also some crazy ideas out there and things that people do not need! With that being said, we came up with a list of 20 of the most useless inventions ever made. Would you ever purchase any of these things? 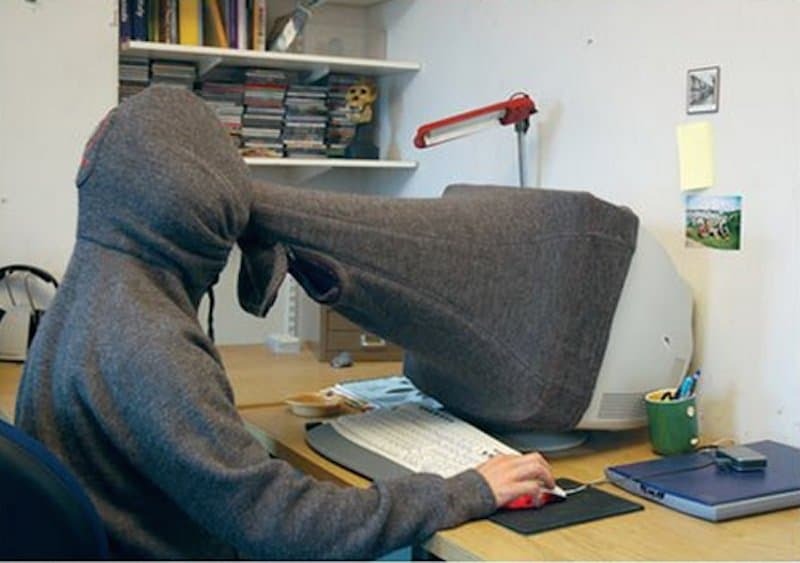 If you have something that private to hide, you may want to reconsider what you are looking at online! This is just creepy and makes you look so scary. 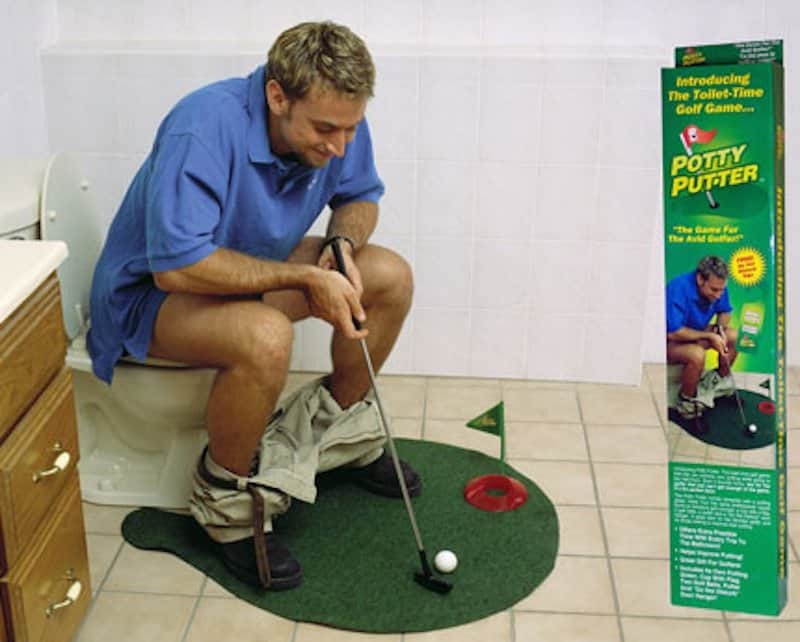 No one should be sitting on the toilet long enough where they could start working on their golf game. It is time to wipe and move on! 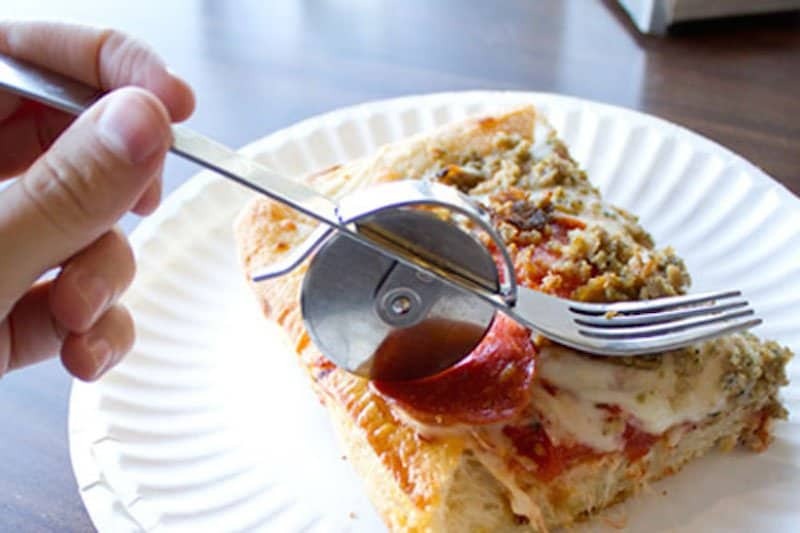 This is supposed to make it easier to cut your pizza, but who is using a fork to eat pizza to begin with? You eat it with your hands — stop trying to be proper! For those people that always lose their remotes, we have the Remote Wrangler. 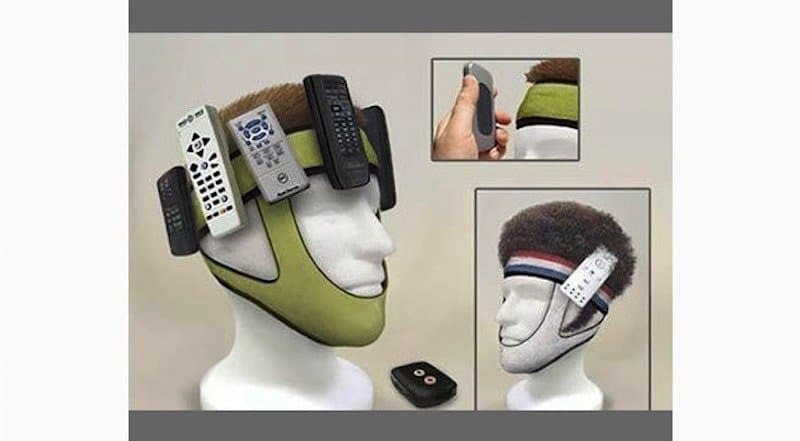 It is like a ski mask, but you can stick your remotes to it. You wouldn’t look creepy at all wearing this, right? 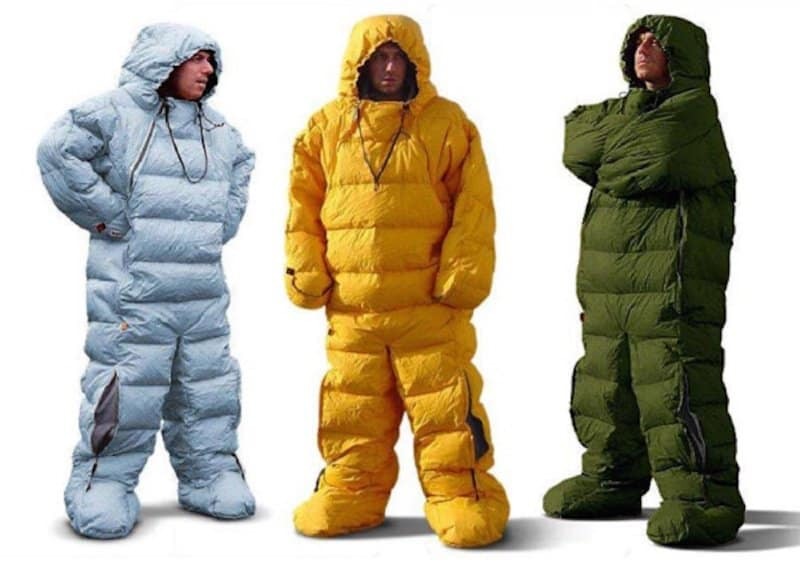 While there is no point in owning a walking sleeping bag, we have to admit that the design is pretty cute. You have to be in a very cold place to wear this though, as it looks very thick and cozy. We would like to meet the person that invented and manufactured this. Why? Because we would like to slap them because they are complete idiots! 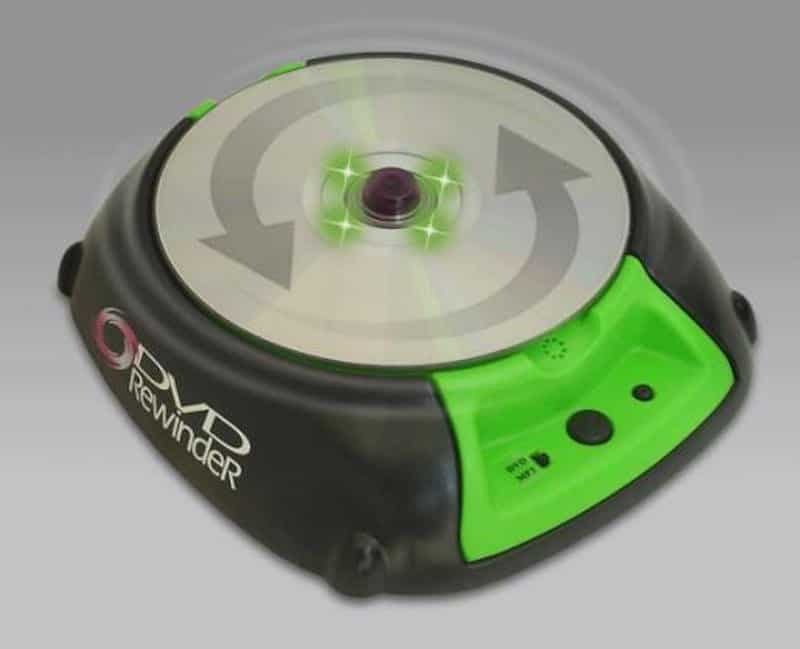 A rewinder for your DVDs that don’t even need rewinding! For the crazy cat lady, this is perfect! 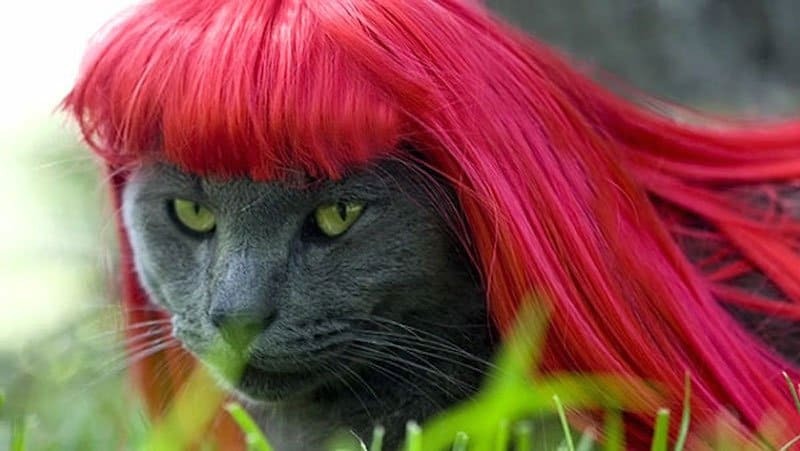 They love their cats and want to make them prettier, so why not give them a wig? 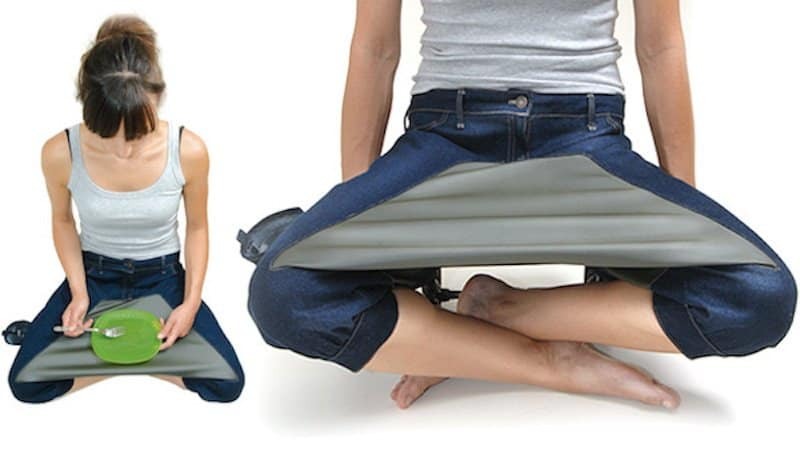 If you are ever out and about and want to have a random picnic, then these are the pants for you. Most picnics are planned and these pants do not look comfortable, so we’ll pass. 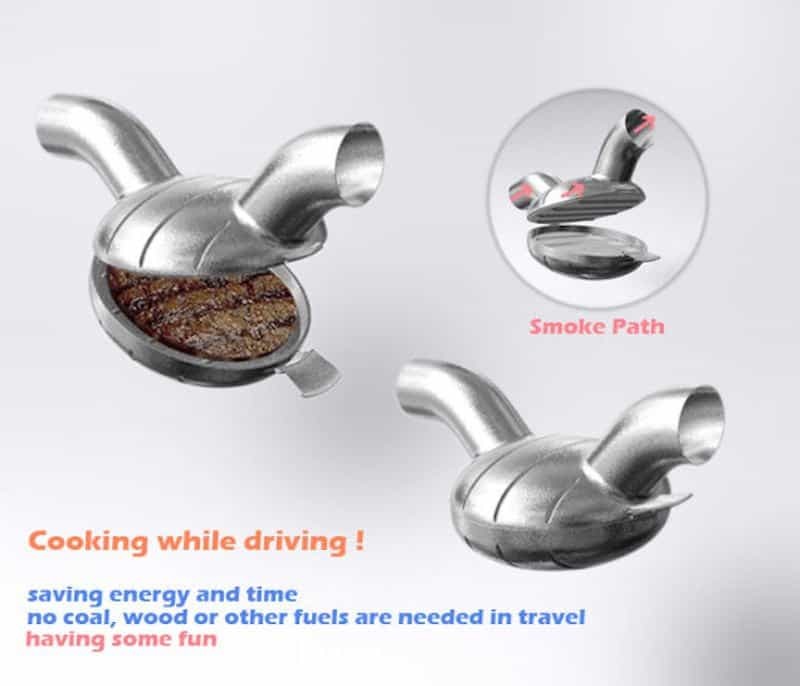 To help save some time on cooking dinner when you get home from work, this allows you to cook your burger during your commute home. It says that it is safe to eat, but we think that smoke from the exhaust is going to get in the meat and we don’t want to take any chances. 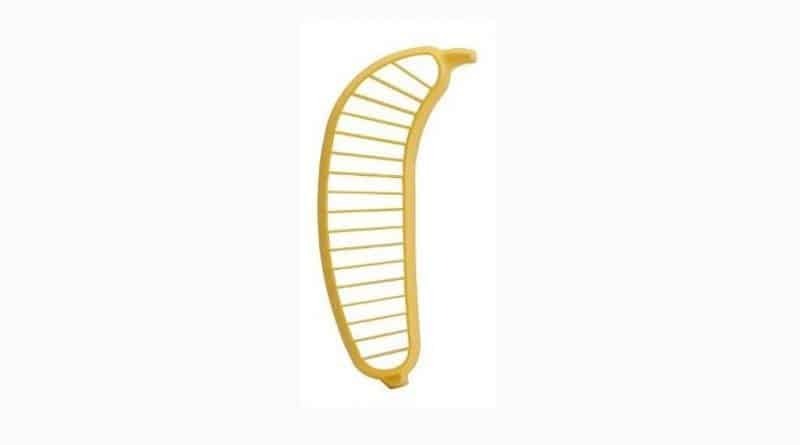 Apparently there are people out there that think slicing a banana is a lot of work. This saves them time, but does the banana have to be that size every time? We have had noodles that are very hot, but have we become a society that is so lazy that we can’t even blow on our hot food? 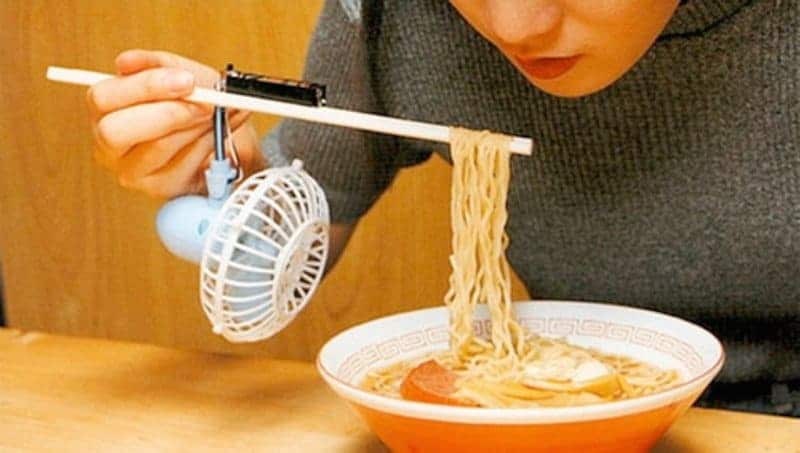 This fan cools it for you, but makes you look like an idiot while eating! 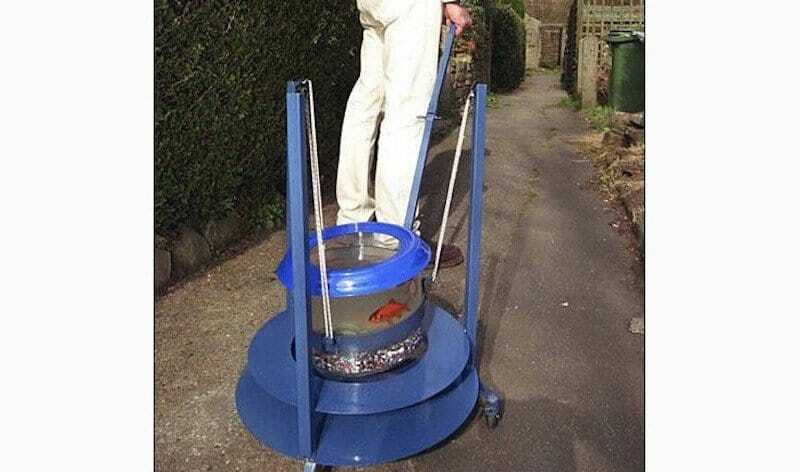 While some of us take our dogs for walks, it looks like some people want to take their goldfish out for a walk. Has anyone ever seen someone using this? We wouldn’t even know what to think. Is regular water bad for you? 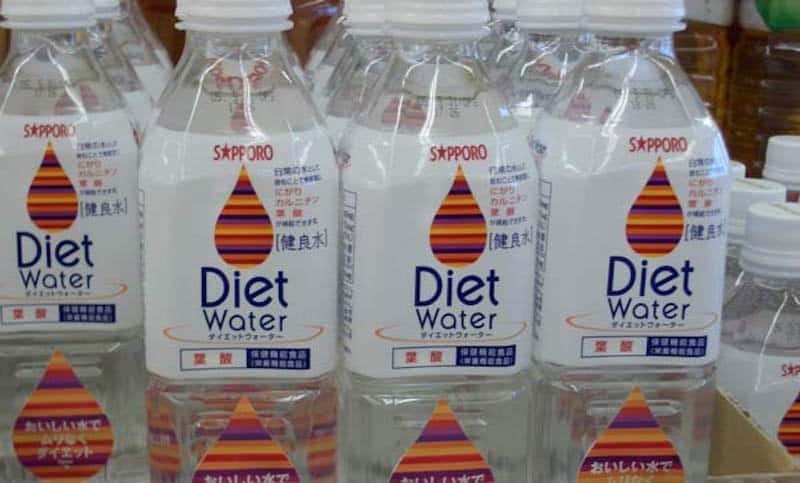 This company offers diet water. We thought water had zero calories, so does this one have negative calories? 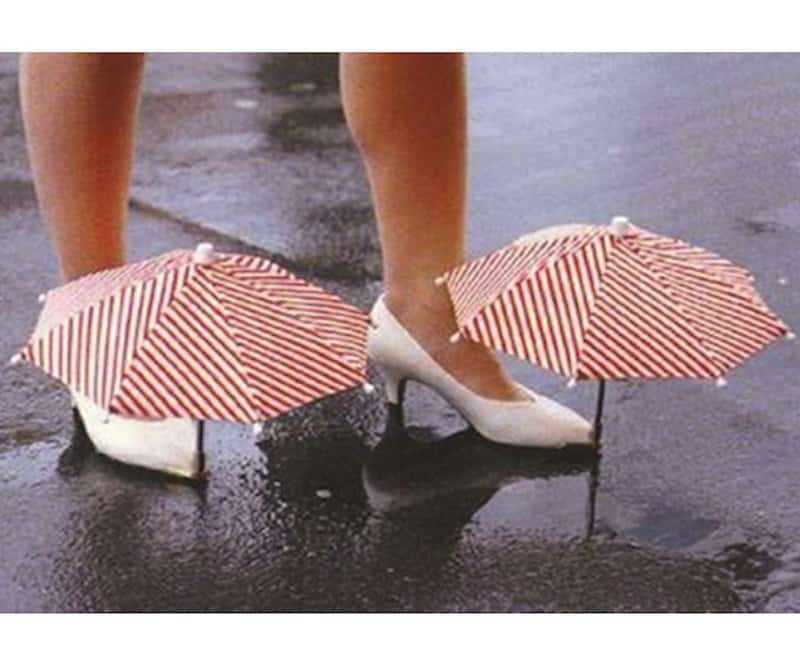 We can understand wanting to keep your shoes dry during a rainstorm, but we doubt these shoe umbrellas would work. You are still going to be stepping in puddles and splashing water on your shoes. We will admit that we have gloves with the fingers cut off, so that appeals to us. 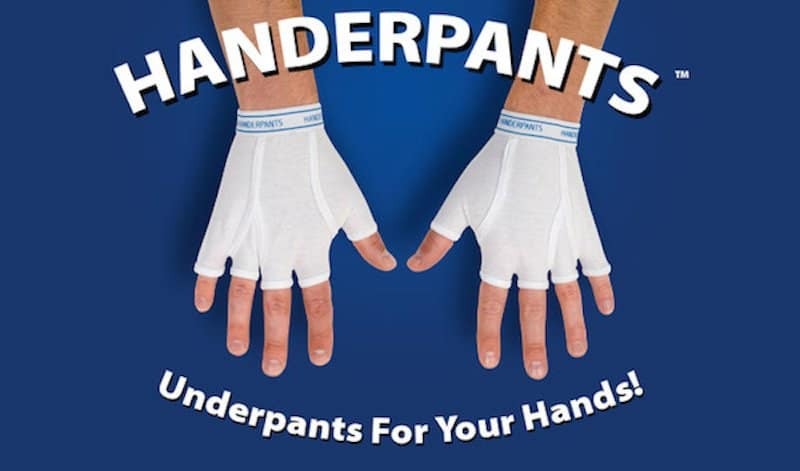 However, why would anyone want underwear on their hands? This may come in handy during flu season, as we seem to have to blow our nose constantly. 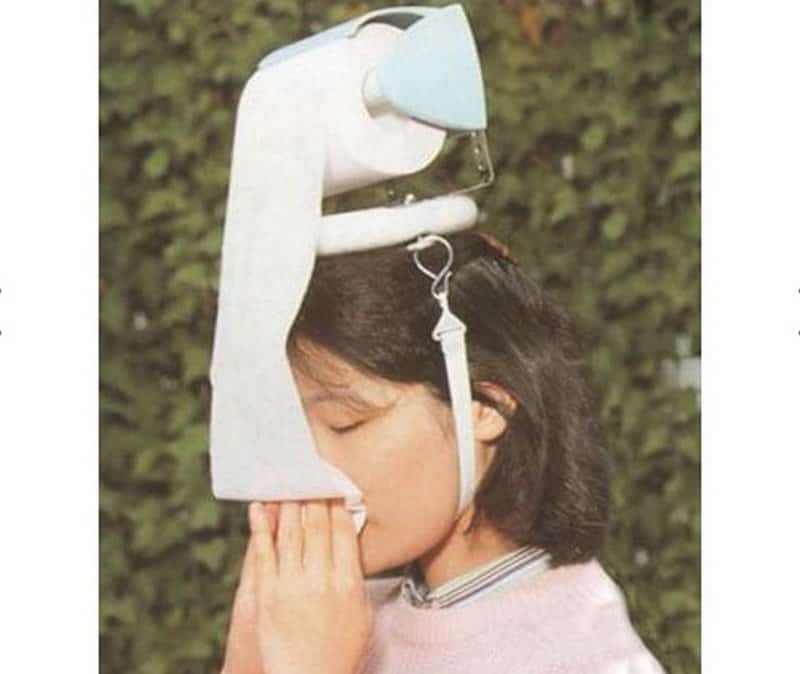 We would prefer just grabbing a kleenex every time, as this contraption just looks like it would be too much to handle. 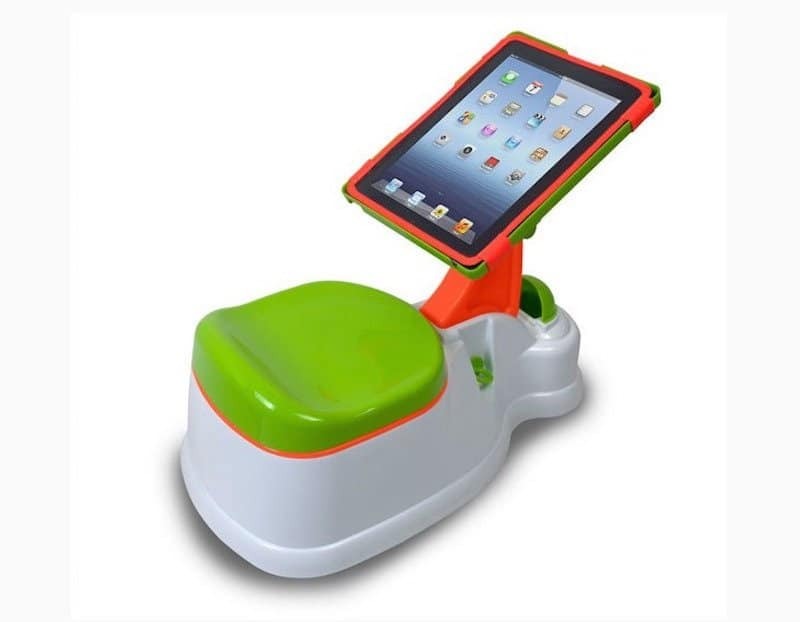 To help your kids with potty training, this gives them a tablet to play on while they do their business. While it may be a good concept, especially since most adults like to play on their tablets while on the toilet, how dirty do you think this tablet is going to end up? 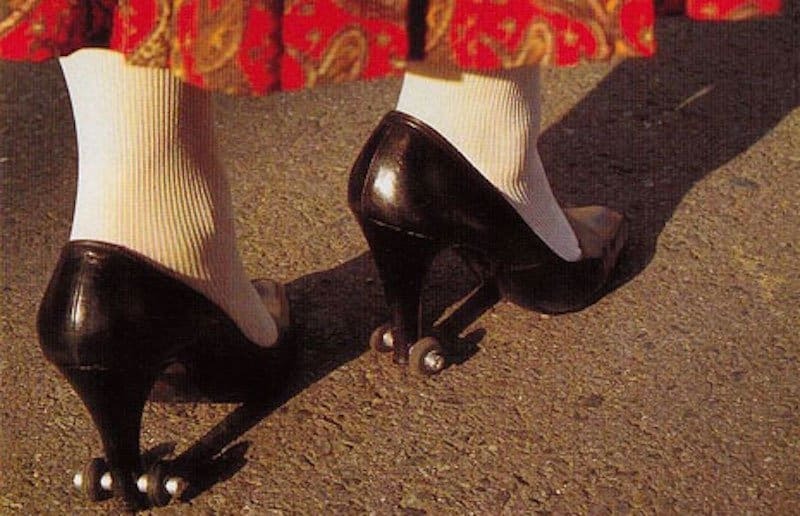 To help those people struggling while walking in heels, they offer training wheels for you! These just look silly and they aren’t going to help you from falling over. One thing that’s on our mind, why don’t people just wear thicker heels to begin with? The laziness continues, as it can be a lot of work to hold your own head up! 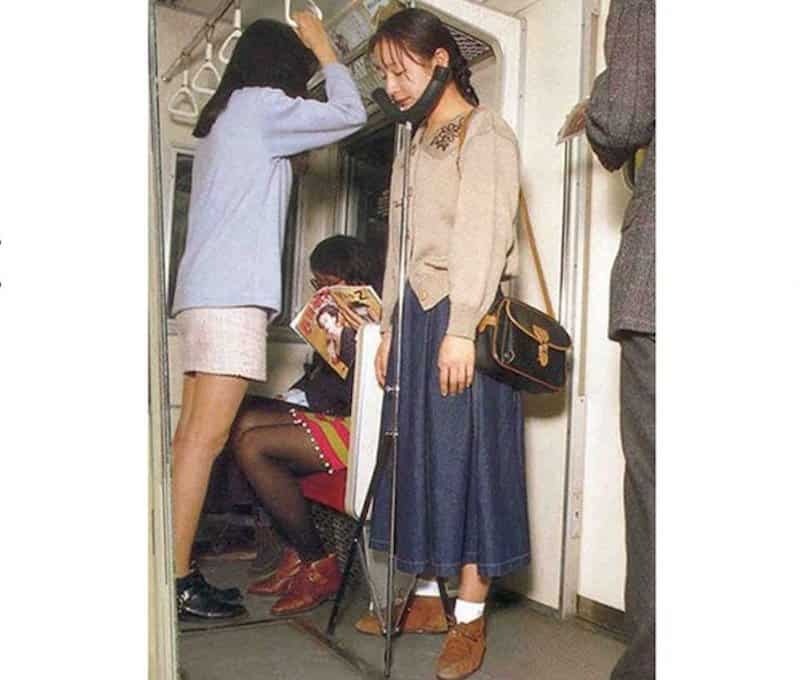 So, why not buy a portable chin rest and save the energy for something else? Is this really a big issue for women? This will help keep their breasts separated and supported while sleeping on their side.